Today I can reveal the final missing piece of the Peter Capaldi costume has now been found - THE SHIRT! As soon as The Doctor’s new look was revealed, fans were searching the internet high and low to identify all the component parts. Despite the red herrings thrown out by the BBC, accurate brand names were attached everything - except the shirt. The shirt is very plain, but yet very distinctive. Being a plain white shirt it gives no visual clues, unlike Matt’s Paul Smith shirt which in 2010 was found within 24 hours. But yet the collar is a shape that is not very typical in fashion at the moment, so should be something quiet easy to track down. We are now over two months later and no positive identification has been made. However, a chance meeting I had a couple of weeks back has given me a lead which has proved to not only be correct, but has turned up a number of other things as well. More on that later. 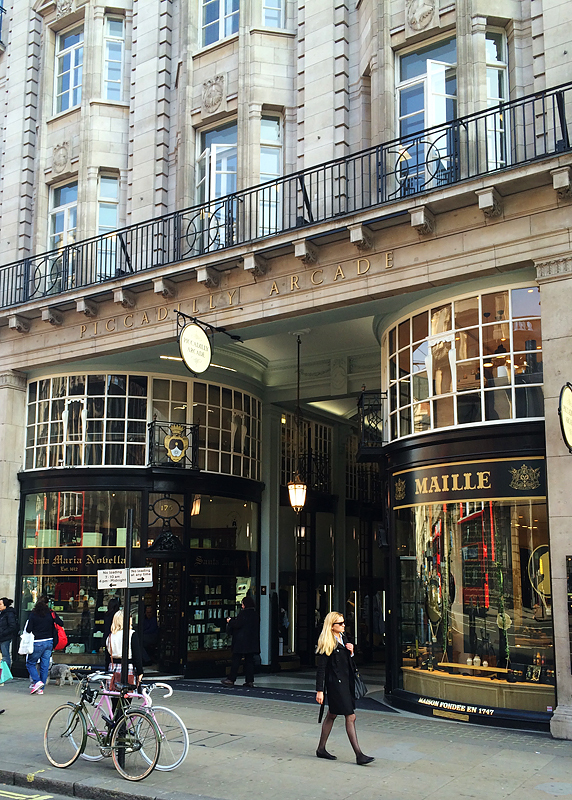 The maker of the shirt worn by Peter Capaldi is from Budd Shirtmakers in Piccadilly Arcade, just off Piccadilly itself in London’s fashionable West End. There are a handful of these arcades off Piccadilly, the most famous of which is probably the Burlington Arcade. All are occupied with very traditional companies offering their own piece of British heritage. 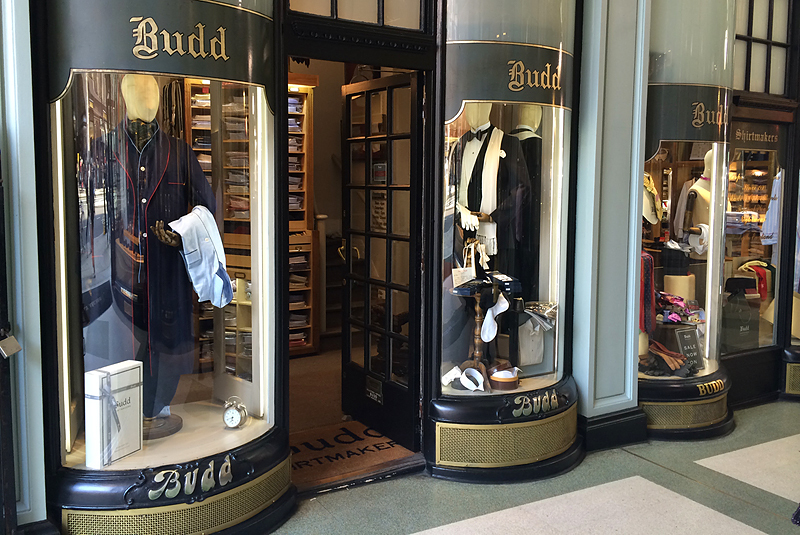 Budd Shirtmakers themselves were established in 1910 and have a reputation for the quality of their shirts. I recently went to see them and find out for myself if it was one of their shirts that Peter is wearing as The Doctor. I spoke with Christopher Mundy who confirmed it was correct and he introduced me to James MacAuslan, the young cutter who patterned the shirt especially for Peter. 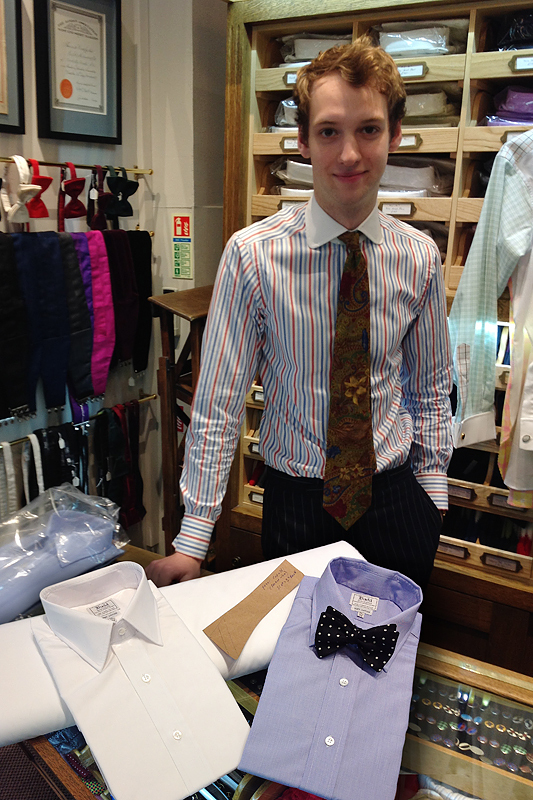 James is one of the youngest bespoke shirt cutters in London, and he explained how the shirt used their basic tailored-cut body, but made-to-measure to fit Peter Capaldi, using a very high quality fabric called Soyella. The fabric is pure cotton, but at 170 threads per inch it is so fine and smooth it feels like silk to the touch. The collar was adapted at the special request of Peter, who wanted a longer, more pointed shape. He showed me the specially cut pattern piece from which the collar was made, as well as the bolt of Soyella fabric used to make the shirt. 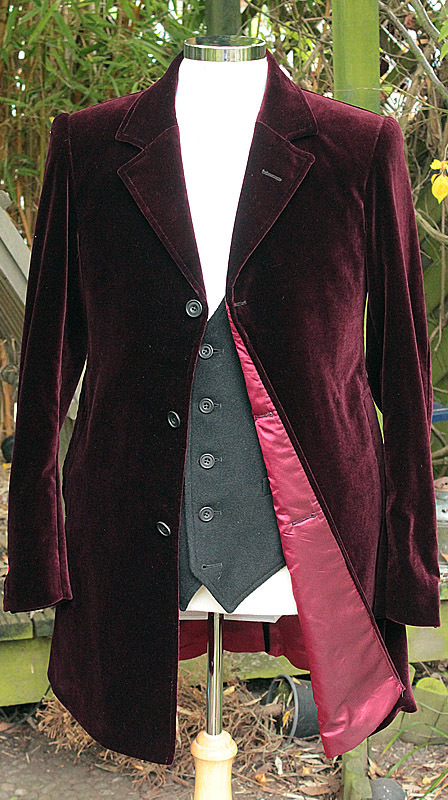 We chatted at length about how fans could get their hands on a shirt in the right cut with the correct collar shape, and it emerged there were three tiers of purchase on offer - but be warned, this is for the serious cosplayer as prices reflect the quality of their shirt making. Although the shirt was made-to-measure, it was cut to Budd’s standard tailored-fit pattern. Shirts are available pre-made in pure white cotton poplin to a range of sizes. 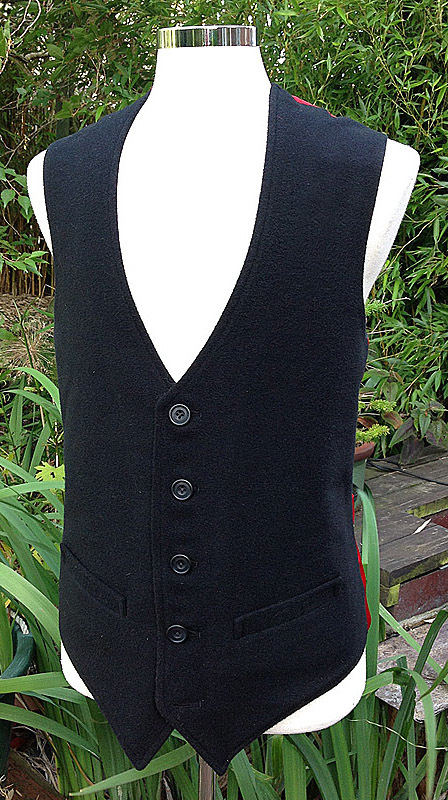 These can then have their collars removed and replaced with one cut using the Capaldi collar shape. A stock shirt in white cotton poplin is £125. DISCOUNT CODE - I have negotiated with Budd a special reader’s discount on the Stock Shirt option. When ordering, quote CAPALDI and a £20 discount will be applied to the shirt. This is a made-to-measure shirt, based on their tailored-fit pattern in the Soyella fabric, with the Capaldi collar. 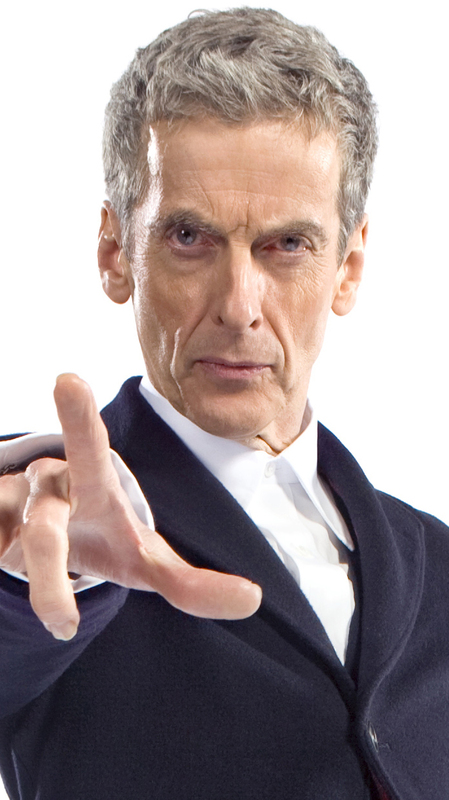 The final option is the full Peter Capaldi route. This gives you the option to have the shirt made in the screen-used Soyella fabric, cut to your own individual pattern with the Capaldi collar. These shirts can only be ordered direct from Budd Shirtmakers by emailing them at mail@buddshirts.co.uk. They will be happy to help. Please quote the above options when contacting them, and don’t forget your discount code CAPALDI if you order the Stock Shirt. So, do they do all the shirts that Peter Capaldi has been seen wearing so far? In the filming pics I've also seen a sort of midnight blue coloured one and a maroon coloured one. But these don't seem to have the longer collar. Great news on the definite identification! Would really love to know where the purple shirt which he's been seen wearing whilst shooting scenes for the episode believed to be called 'Robots of Sherwood', is from. Hopefully it's not as bespoke as his white one and I can get my hands on one! Got to love a purple shirt. Outstanding work - I must admit I have emptied the tank paying for the Crombie and Brogues and to allow the cheque-book a breather, instead integrated a Pinpoint Oxford European Straight Collar shirt (within my price range to justify the purchase of two). I the cotton is of a very nice quality: I'm pleasantly surprised. 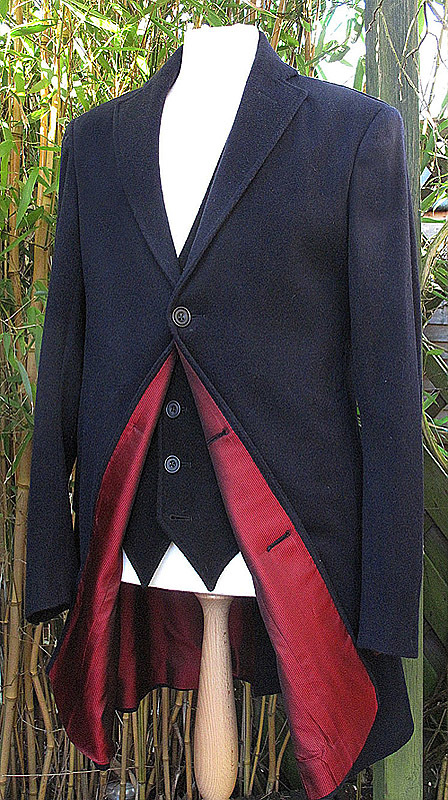 Jared, I found these bespoke tailors online to be very helpful: it's where I got my shirts.. The other shirts are made by Paul Smith, Peter Favors this Brand.